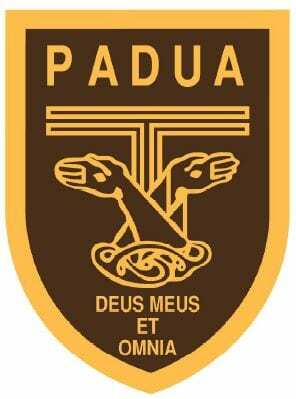 Padua College is a Catholic boys school located in Kedron, in Brisbane. Catering for years 5-12, the College is set over two campuses – a junior campus for Years 5-6, and a secondary campus for Years 7-12. The College forms part of a community of Franciscan schools, interacting closely with Mount Alvernia girls school and St Anthony’s primary school (Prep-6 girls and Prep-4 boys). Padua buildings are partly air-conditioned, and the secondary campus has an Industrial Skills building for woodwork, metalwork and engineering. The College has beautiful grounds with a big oval for each campus and a swimming pool at the secondary campus. Students also use college-owned playing fields at Banyo. What are the sporting/extra-curricular options at Padua College? Padua College is part of the Association for Independent Colleges (AIC) sporting competition. Students take part in a different sport every term. The school is particularly strong in Rugby Union, and takes a rugby tour to Europe every two years. Students also perform well in soccer, tennis, swimming and basketball. The Franciscan Colleges Instrumental Program gives students an opportunity to be involved in orchestras, a string ensemble, pop band and rock band. Padua and Mount Alvernia Colleges conjointly put on a school musical every two years. The College has a Space Design program open to all students, regardless of whether they’re mathematically/scientifically inclined. Padua students compete and have previously won the right to represent Australia at NASA in the USA. As a Franciscan school, Padua offers Years 9-12 students the opportunity to go on a two-week pilgrimage to Italy to follow in the footsteps of St Francis. The pilgrimage is held every two years. A Chaplain accompanies the boys as they explore historical aspects of Assisi and Rome, and attend mass at the Vatican. Padua College students also engage in interfaith dialogue with students of the Brisbane Islamic School, exploring the common goal to promote peace and acceptance. Year 11 and 12 students meet four times a year, with Islamic School students visiting Padua College during the Feast of St Francis. Students also undertake community service work. They go out to the Rosies van at night to assist the homeless, take up collections, and fundraise for Little Kings, which supports people with disability. Students also raise funds for a sister school in East Timor to help the school rebuild from the damage incurred during the fight for independence. What are the public transport options to Padua College? Padua College is serviced by public bus. What are the boarding options at Padua College? There are no boarding options for Padua College. Does Padua College offer scholarships and how do we apply? Padua College offers full scholarships and half scholarships for Years 7-9 and Years 10-12. Further information is available here.